Let me set the scene. Inspired by their HD Televisions Panasonic got in touch with me, setting me the challenge of working on a TV-themed post. I thought long and hard about what I wanted to do and eventually, I decided that I wanted to re-create a famous TV recipe...I just had to decide which one. 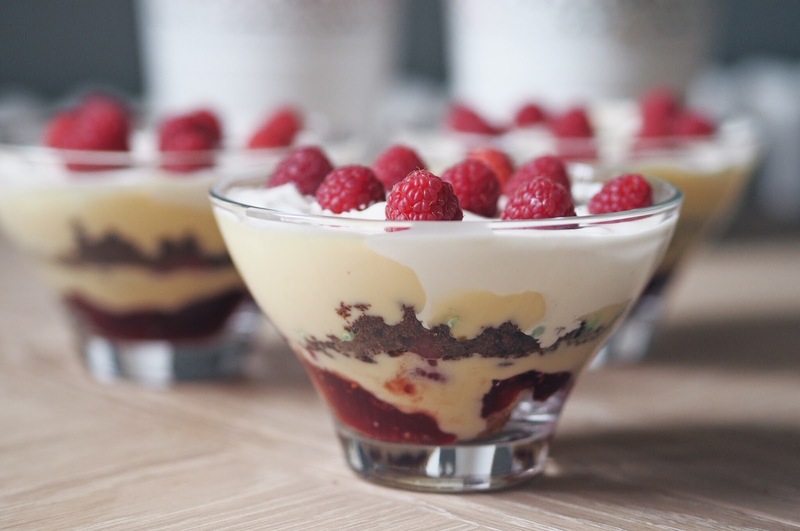 Well, I've become absolutely (re)obsessed with Friends since the series became available on Netflix and I thought - you really don't get much more iconic than Rachel's 'English Trifle'! Oh. Myyyyy. Godddd. Now, don't panic! In the interest of tasting good and reducing the amount of food waste (because let's face it, Rachel's version tasted 'like feet"), my version uses chocolate brownie for the 'meat' layer - rather than sauteed mince and peas! I actually think it looks kind of realistic and I promise you, it tastes way better than the one Joey was digging into! 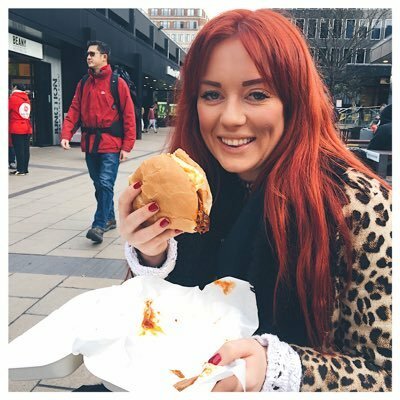 You can find the super simple recipe below, let me know in the comments if you give it a go! 1. 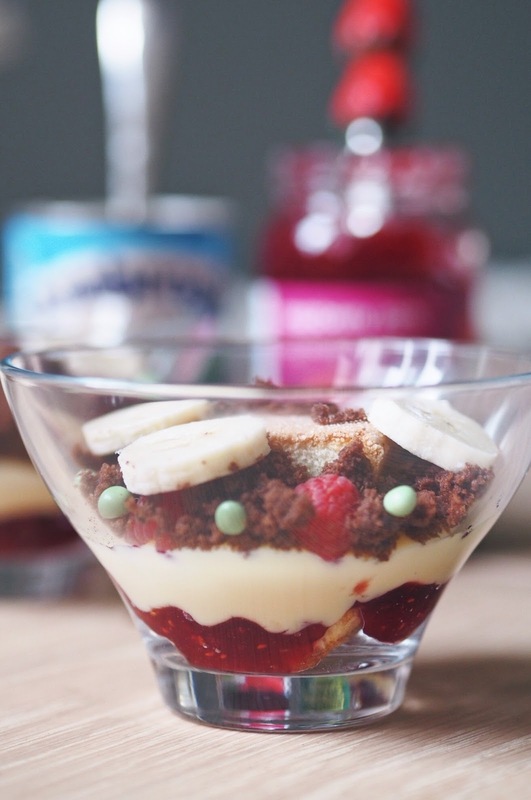 Start by laying a slice of trifle sponges at the bottom of your bowl so that they cover the base. 2. 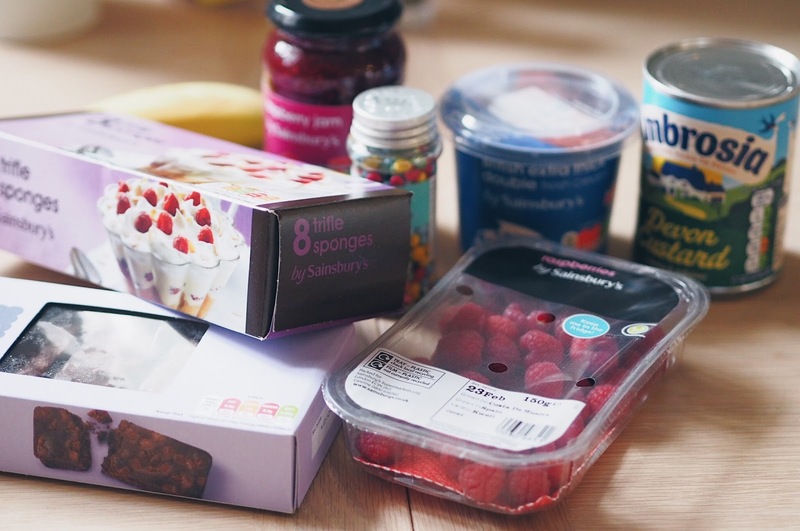 Next, spoon over your jam until the sponge is completely covered, followed by custard and a layer of raspberries. 3. Now it's time for the meat layer! Finely chop the chocolate brownie slices till they are nice fine consistency and crumble on top of the raspberry layer. 4. 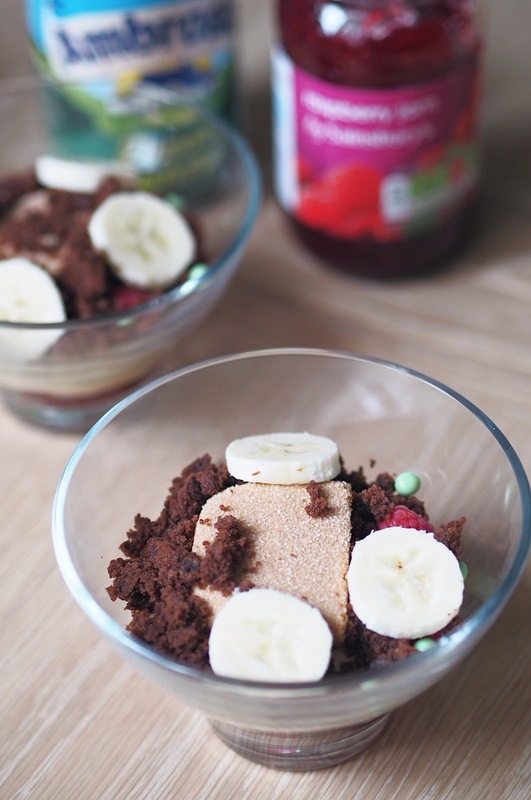 Add the green chocolate drops (AKA your 'peas' followed by another layer of sponge and sliced banana. 5. 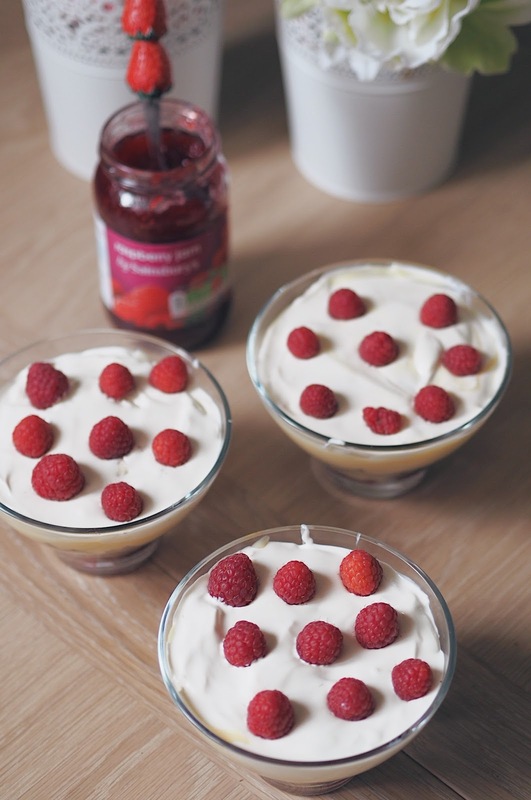 Repeat another layer of custard then finally top with whipped cream and decorate with raspberries. And that's it you're done! Custard good, jam good, chocolate 'meat'....goood! This is incredible! 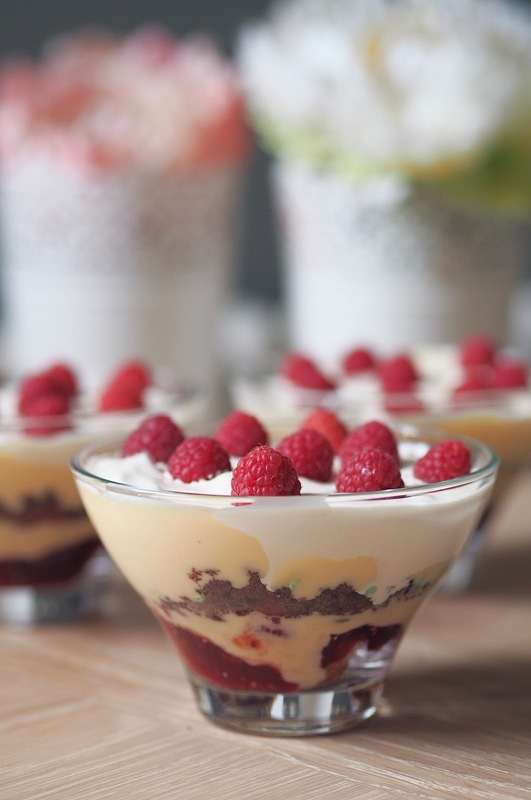 I've always secretly wanted to taste that trifle... definitely going to have a go at this!